First team to finish in the eight best in the world, Uruguay, advance to quaterfinals soccer world cup, my beautiful country, with 3 million inhabitants, with a small territory, we’re big, we claw, the claw Charrua, two goals from Suarez, put us among the top eight World Championship Soccer World Cup 2010. The final result 2 -1 , Uruguay beats South Korea, the goals of Uruguay were made by Luis Suarez and the one of south korea made by Lee Chung-yong. The South Korean team, against whom this game was played was excellent, played a great way to have an incredible pace, and players who throw long distance putting at risk any team. The next match of Uruguay, will come out of that play in a few hours between USA vs. Ghana, which will be played on July 2. 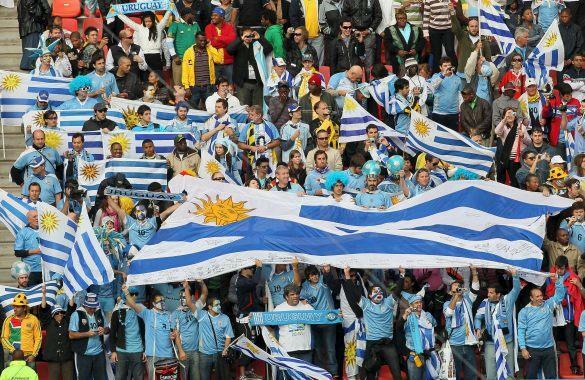 I hope my loved Uruguay, can follow path to obtaining the 2010 Soccer World Cup. Primer equipo en quedar entre los 8 mejores del mundo, Uruguay, mi hermoso pais, con 3 millones de habitantes, con un territorio pequeño, somos grandes, tenemos garra, la garra charrua,los dos goles de Suarez, nos ponen entre los mejores 8 del mundo en el Campeonato Mundial de Futbol de Sudafrica 2010. El equipo de Corea del Sur, frente a quienes se jugo este partido, fue excelente, jugaron de una excelente manera, tienen una velocidad impresionante, y jugadores que tiran de larga distancia poniendo en jaque a cualquier equipo. El proximo partido de Uruguay, saldra del que se jugara en pocas horas entre USA vs. Ghana, que se jugara el dos de julio. Espero que mi amado Uruguay, pueda seguir camino a la obtencion de la Copa Mundial de Futbol 2010. 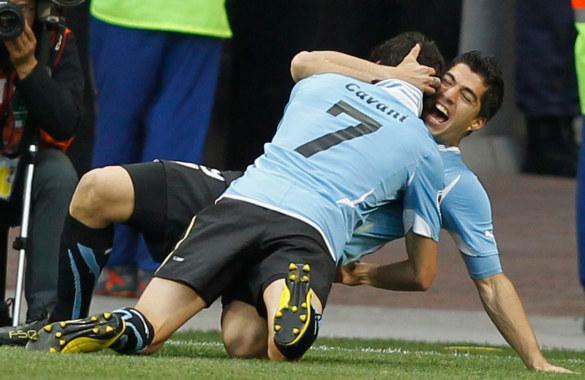 Uruguay has a good team and the match against the USA (the more likely rival) is going to be a tough one.